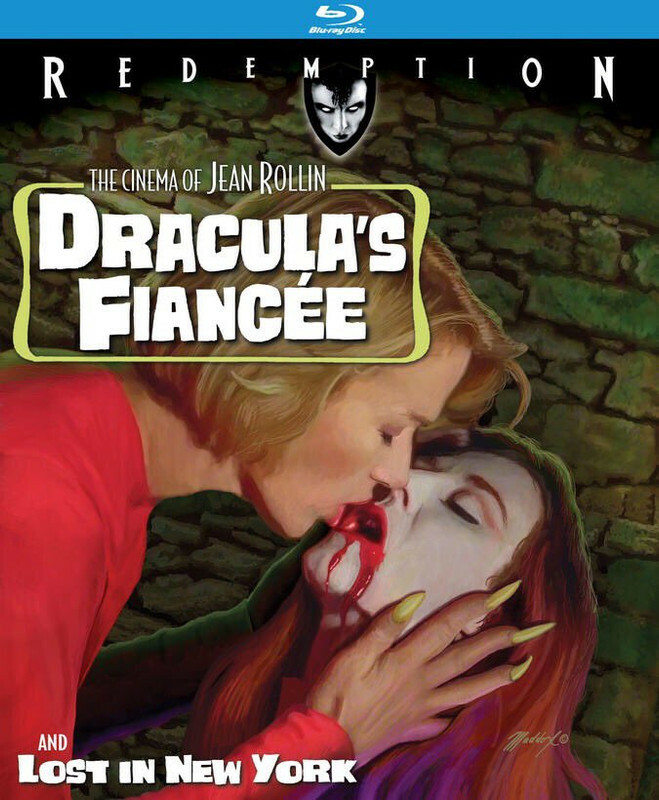 Looks like Dracula's Fiance and Lost in New York are coming to BD on 2/19/19 as a double feature from Redemption/Kino! I was hoping we'd see Dracula's Fiance on BD at some point and Lost in New York is a nice bonus. "Never forget, never forget The Ogress!" This is also scheduled for release in the UK from Black House. f.ramses and Angelman like this. I don't think I was aware of Black House until now but now I'll have to check on how their other Rollin titles compare to the Kino releases. Do you have a link to any information about the Black House release? I can't seem to find any. I've picked up some of the Black House titles but haven't watched them yet. I would imagine they are the same transfers as the Kino Lorber but they seem to only have trailers as extras. I've purchased half a dozen of them because I like having different artwork and they weren't expensive through Amazon UK. Definitely a huge upgrade over the old Shriek Show release! Got this today and it does look quite nice, glad to finally have this one on BD. I kind of liked the blue tint that the old DVD had during the night scenes but I didn't even remember it while I was watching it, only after seeing that review. Will probably revisit Lost in New York tomorrow, at a glance this one looks pretty good even though it didn't look like much had been done to clean it up. On a related note Redemption will be releasing The Mask of Medusa in the UK on 3/11. Unfortunately it's going to be DVD only but since I don't have an English friendly copy of this movie and my subtitle file is long gone this is an easy purchase for me, especially since I don't recall any other English friendly releases of it. Awesome news. Looking forward to retiring my bootleg of Mask of Medusa.